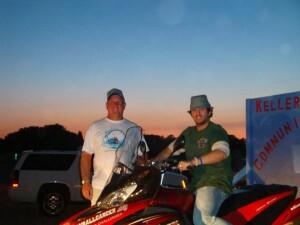 The Keller Family Community Foundation (KFCF) held its second fundraising event on August 17, 2010. The event was Beat Out Cancer…Music For A Cause. During this event was a Tim Mahoney concert that was a big success. Thank you everyone for showing up and supporting the Keller Family Community Foundation! If you would still like to donate or buy Snowball Cancer T-Shirts ($15/each) you may send your money to the following address: P.O. Box 164, Richmond, MN 56368. Thank you again and look forward to our next event! Keep checking back for more exciting details.